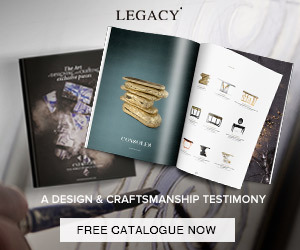 Luxury sideboards and amazing design sideboards can mean the same as wooden sideboards. Often when a more sophisticated look is wanted the focus centers on marble and glossy metallic finishes. 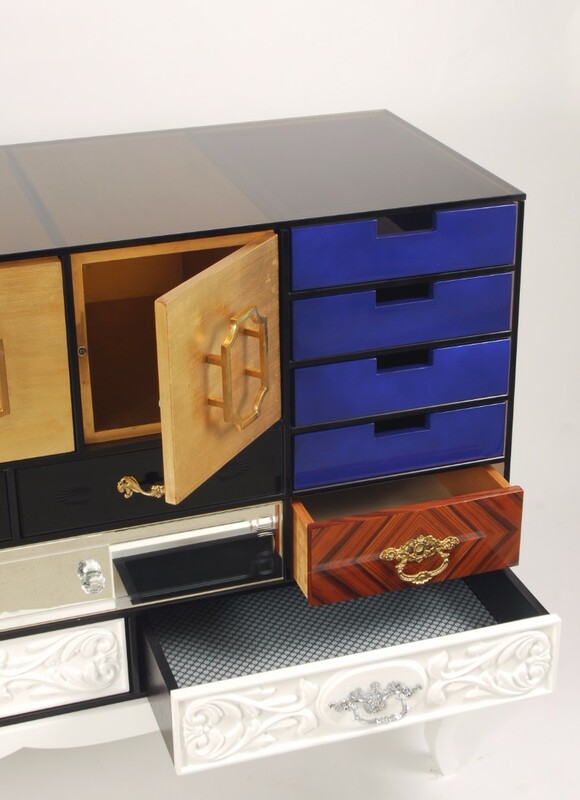 We at Buffets and Cabinets think a wooden sideboard is just as exotic and just as luxurious as any other. 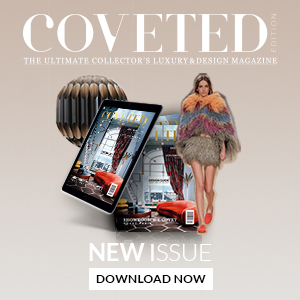 Scroll with us and find 10 Wooden Sideboards with an astonishing front design! 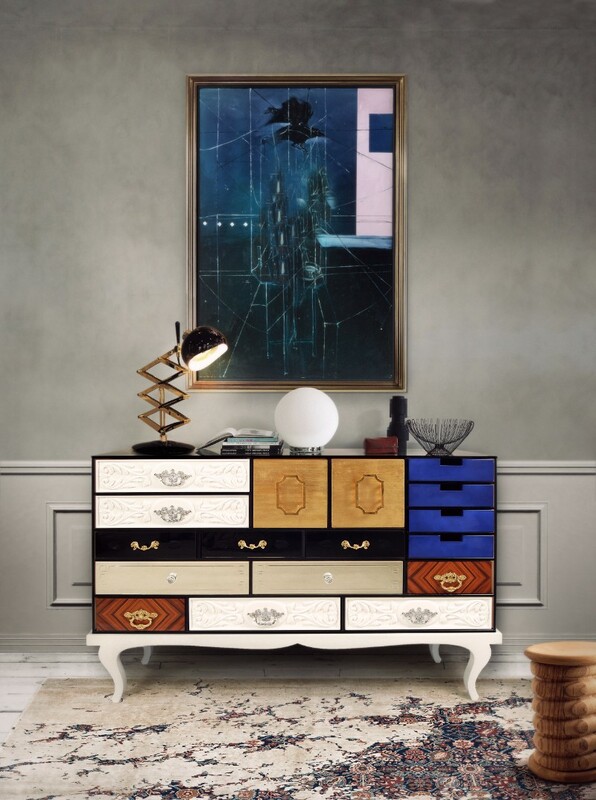 Mondrian is a Sideboard by Boca do Lobo made of Mahogany. The wide variety of drawers turns this sideboard into a sophisticated piece with lots of utility. 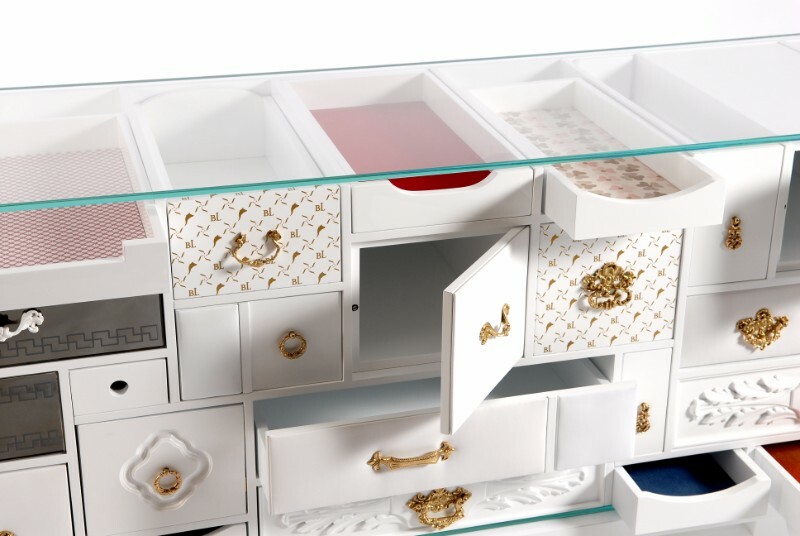 Individually each drawer has a classic look when combined this sideboard presents himself as a piece of exclusive design. 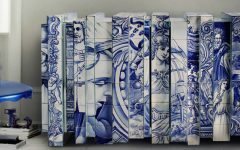 Soho, one of the oldest pieces by Boca do Lobo. This Sideboard shows similarities with Mondrian, but its quite different. 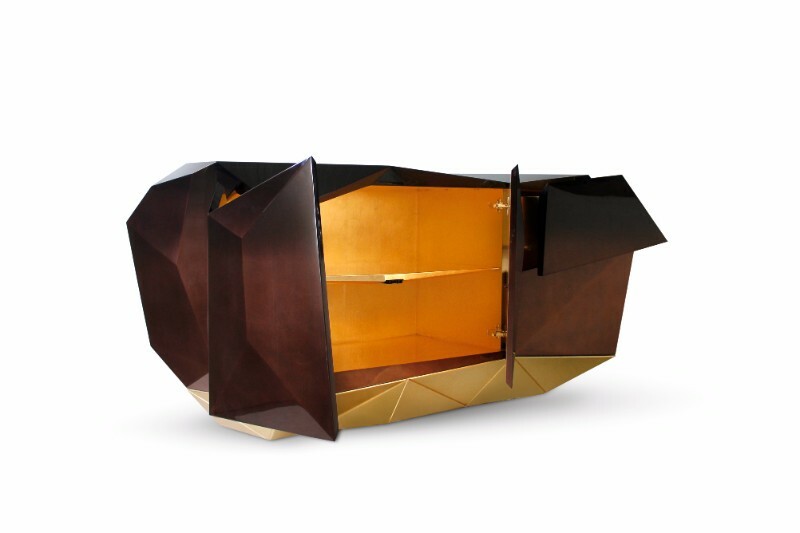 Soho has doors, has different colored drawers made of different types of wood and other materials. 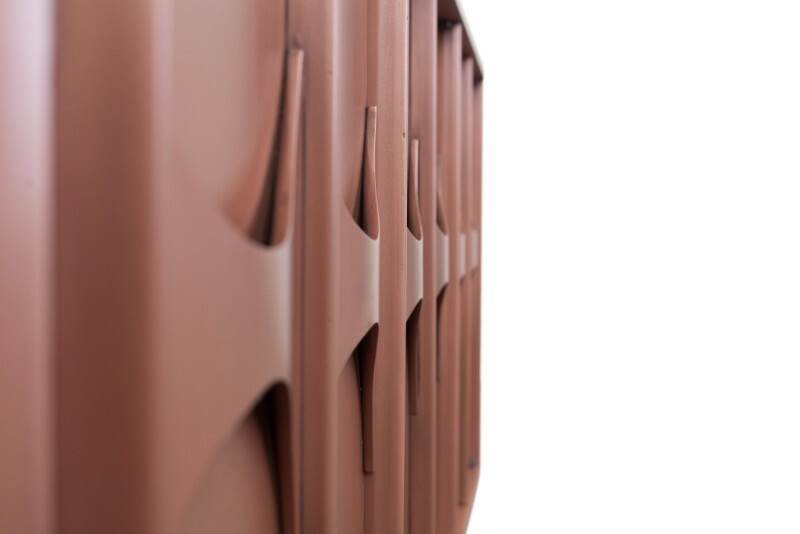 Diamond Chocolate by Boca do Lobo is one of the most beautiful pieces you can find. The name speaks for itself, the shape resembles one of a lapidated gemstone while the amazing fading paint blends with the gold leaf inside. 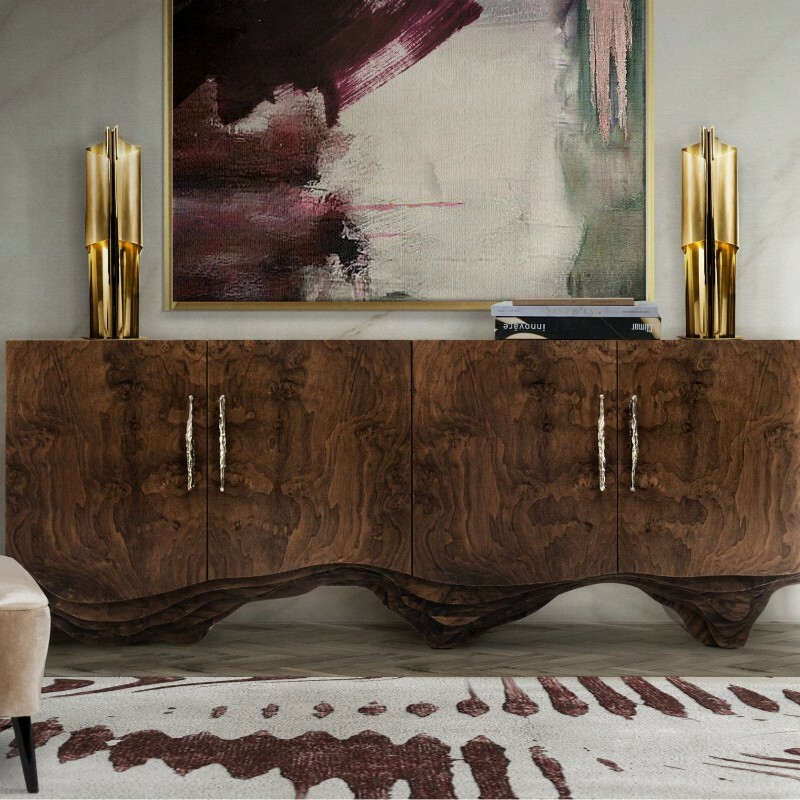 Huang is a magnificent sideboard with an outside made of walnut root veneer. 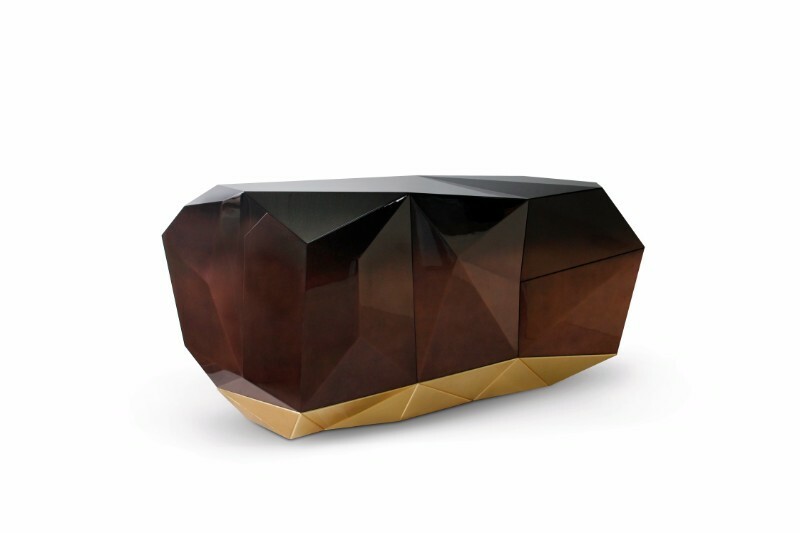 The bottom of the sideboard softly transforms the wood into a new design, resembling upside mountains, or the rocky edges of a cliff, granting a touch of nature. 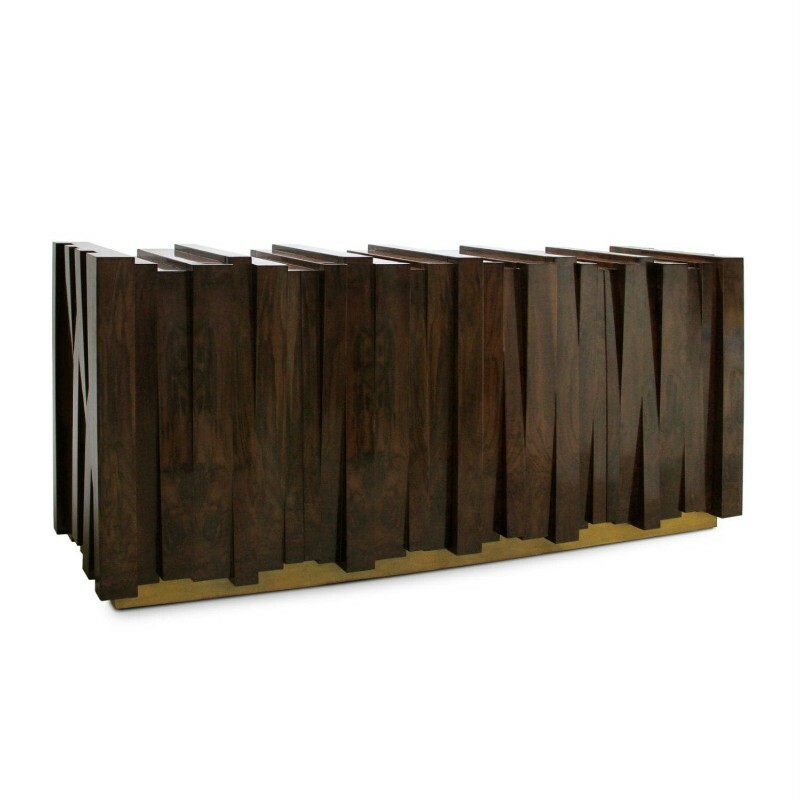 Nazca Sideboard draws inspiration from the tectonic plates in the southern Pacific Ocean. The amazingly crafted shape is a pure blend of geometric lines with attention to the shape in perspective. 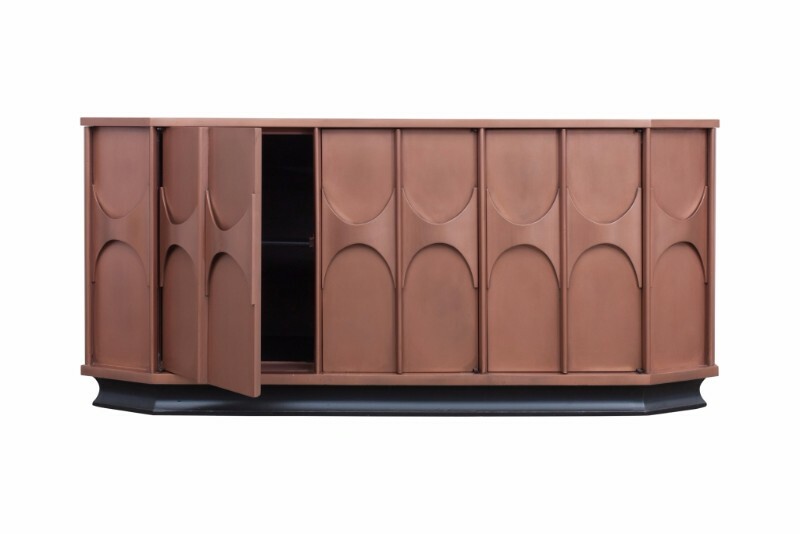 Brutalist is an elegant copper lacquered sideboard. The colors enhance the solidness provided by the wood while the shape grants it a sense of depth. 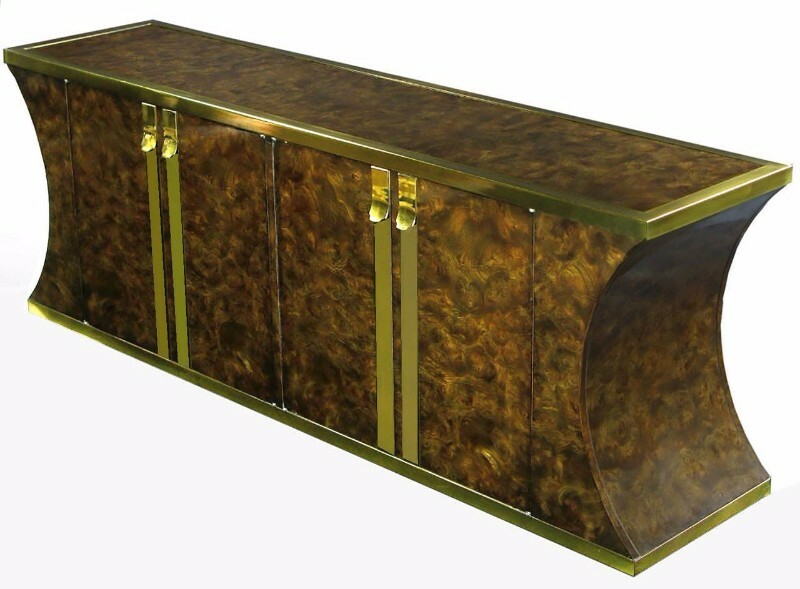 Amboyna Burl is a sideboard with inverted curves on the sides and luxurious gold finishes. 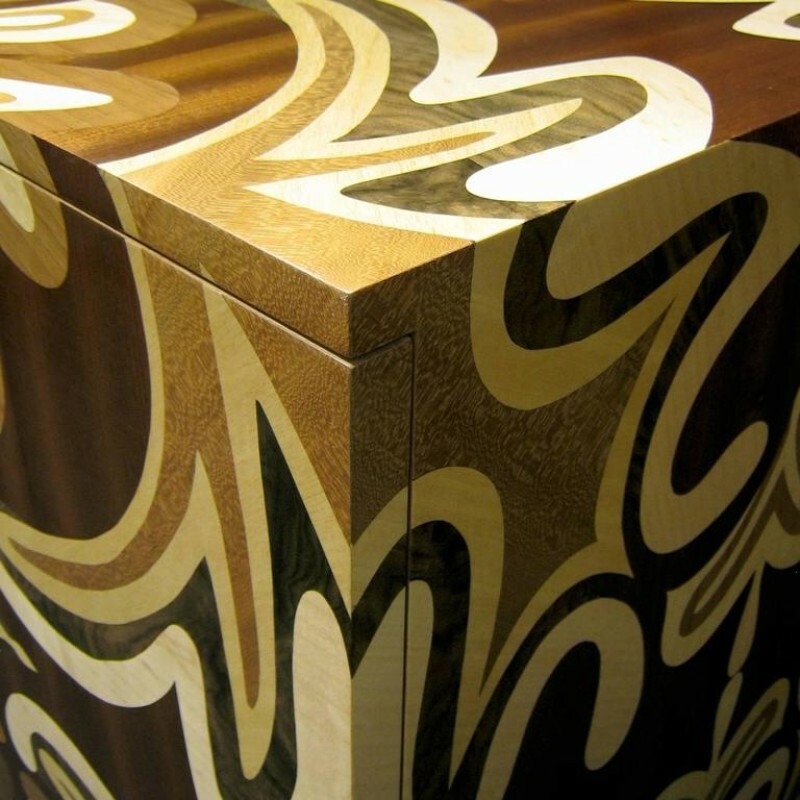 This sideboard has a hypnotizing wood finish. Framondi is a sideboard with a cheerful design. This sideboard was made using ancient-techniques of cabinet making. A truly exotic piece. 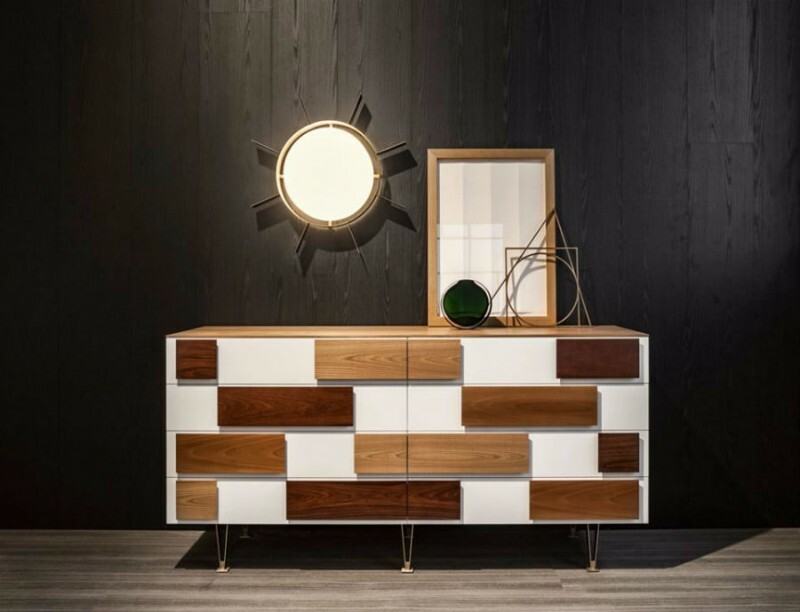 Molteni Gio Ponti is made of several types of wood – from elm to Italian walnut, mahogany, and rosewood. 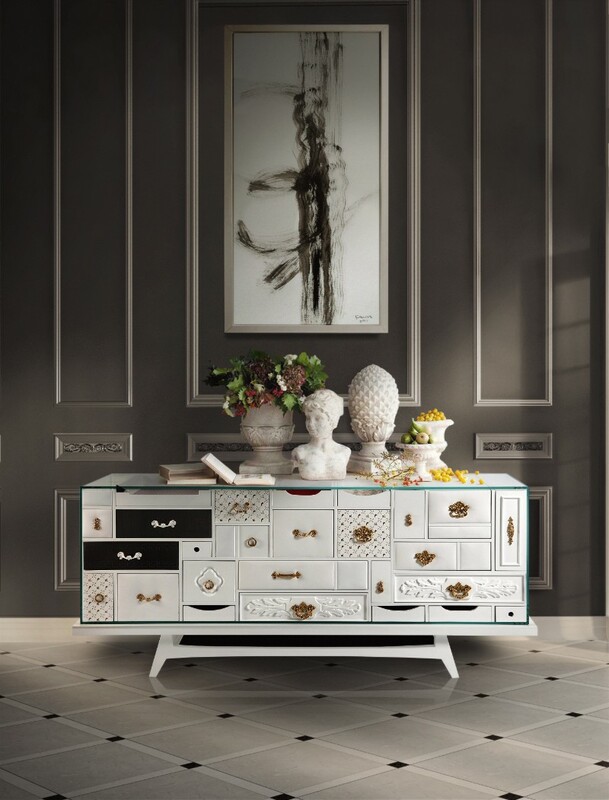 The white paint between the drawers gives this sideboard the claim of an exotic sophisticated piece of furniture. 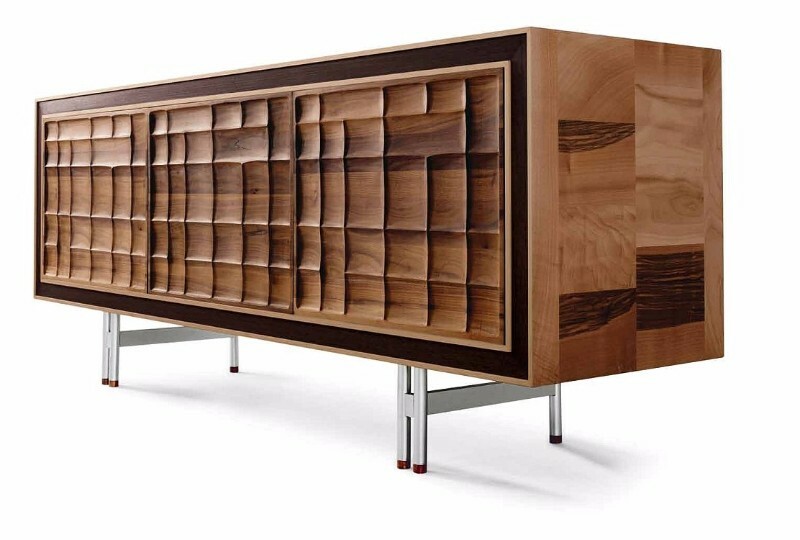 Siena is a sideboard made of solid walnut wood. 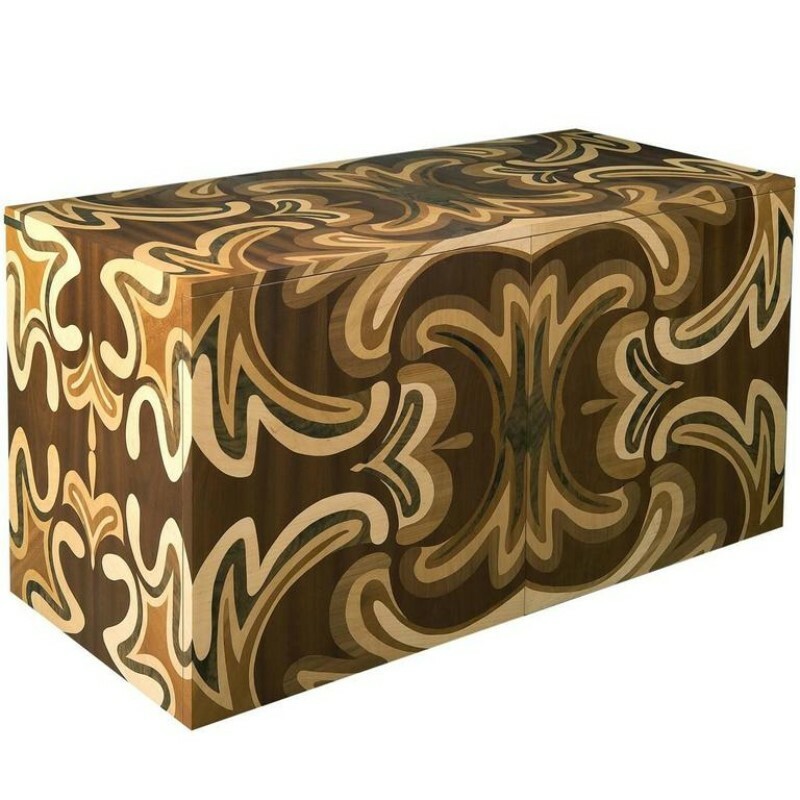 The patterned front provides a textured look while the metallic legs give it a modern design.